Exactly one week after the WHO declared the Congolese Ebola outbreak near the port city of Mbandaka that killed 30 people in a course of 2 weeks in May of this year and infected many others to be officially over (see our related coverage), another outbreak in the east of the country is said to have already killed 33 people. So far, researchers in the North Kivu and neighbouring Ituri provinces confirmed that some 13 cases of the deadly hemorrhagic fever were confirmed and that they have already found 3 bodies. Officials in the area stated that the total number of dead was 33 so far with dozens infected. According to health authorities, the two outbreaks are however not connected. Related coverage: <a href="https://thegoldwater.com/news/26980-Ebola-Outbreak-3-Patients-Escape-Quarantine-As-Virus-Spreads-27-Dead ">3 Ebola patients escape quarantine as virus spread, 27 dead</a>. Some 900 people that have come into contact with Ebola patients have so far been identified. However, given the difficult transport conditions in this part of the biggest African country, tracking the contacts of all those people since the outbreak could prove tricky as there is a very dense urban population nearby whilst some parts are controlled by several militia groups. 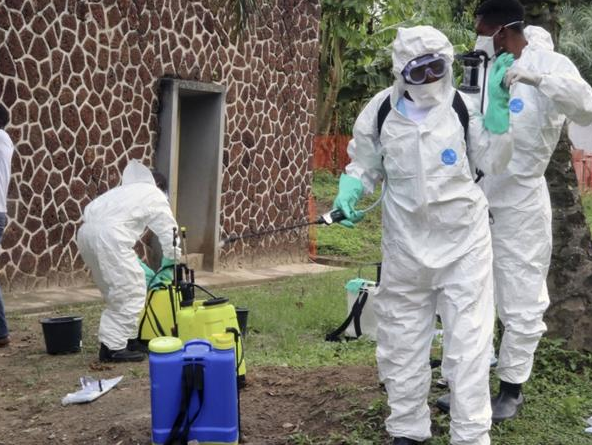 Just as in the case of the earlier Ebola outbreak in western Congo, health officials want to deploy a vaccine to help stop the spread before it could reach any transport link to the Congolese capital Kinshasa, a city of several missions. The WHO will lend its support to keep the vaccine in below zero temperatures in the tropical climate of middle Africa, which could prove difficult. In order to do so, the global health organization released US$2 million from its Contingency Fund for Emergencies to fund the response activities in Africa better.